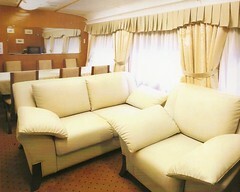 The new Deluxe Sleeper Plus Class is scheduled to be available in 2013. 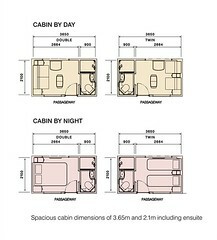 The cabin will have 50% more space, double bed, private glassed-in showers, flat-screen TV, leather sofa, small refrigerator, fine linens, plus a butler, room service, breakfast and tea served in your room, priority everything ––from check-in and luggage handling to dining car reservations. 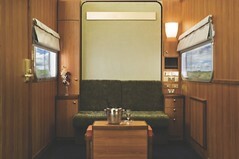 The fare includes all meals in the elegant Sleeper Plus class restaurant car, and you can use the famous 'Park' observation-lounge car at the rear of the train. The 'Park' car features a classic north American 'vista dome' upstairs, the bullet lounge at the rear (complimentary tea and coffee always available) and the mural lounge downstairs underneath the dome. 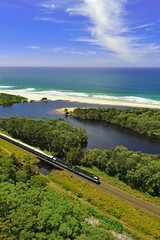 Descritpion to follow about individual travel on this special little train, as well as private chartering for special journeys in Brazil. Having travelled from far away, don't you owe it to yourselves and your shared memories to arrive at Machu Picchu, roof of the world, in Orient Express style? The Pullman Orient Express is now in a museum outside Paris - it should be out on the rails! Two Routes: 1. St Petersburg to Irkutsk and Lake Baikal, via Moscow, Yekaterinburg, Tobolsk, Omsk and Novosibirsk. This journey can be done in reverse. 2. 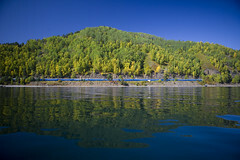 Moscow to Beijing via Kazan, Yekaterinburg, Novosibirsk, Irkutsk, Baikal, Ulaan Ude, Ulan Bator. This journey can be taken in reverse. Travelling in the luxury of the Imperial Russia train, passing by all the largest historical and cultural centres of the vast Russian Empire and beyond, and visiting many of them, is an incredible experience. 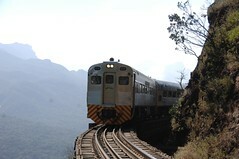 Luxury train journeys to and from Machu Picchu, including the Presidential car for private hire. 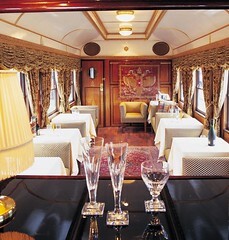 THE MAJESTIC Train de Luxe As you approach the train, the atmosphere of the past is redolent of romance and mystery. 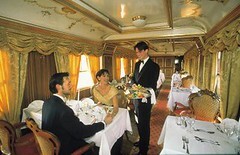 On boarding, one’s breath is taken away by the sumptuous elegance of a bygone era. These luxury carriages are based on the imperial train of the Emperor Franz Joseph I and Empress Elisabeth of Austria, the Imperial Express. Surrounded by the splendour of the Austro-Hungarian monarchy, one can enjoy the magic of days gone by. The Majestic Imperator journeys are accompanied by unforgettable Viennese waltzes. 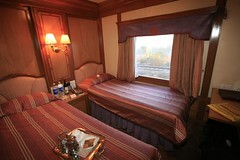 The Maharajas' Express is available from Train Chartering for private charter / hire. 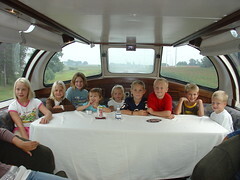 Individual bookings and group travel can be arranged by the Luxury Train Club. 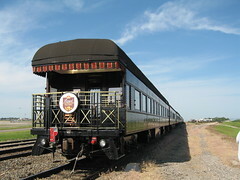 The train began operations in March 2010. It is claimed to be the finest luxury train in India,a new build, with modern amenities (a/c, WiFi etc), Indian / fusion cuisine and classic decor. 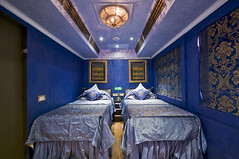 The Royal Rajasthan is the crowned successor to the classic Palace on Wheels; both luxury trains, but the former apparently targeted at non-Indian markets. Train Chartering offers the private charter of all the trains featured in this set, which is of trains operated by VSOE Ltd, as well as private carriages. 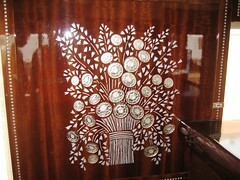 The photos and carriage plans (excepet for the Pegasus Bar car) are to be attributed to VSOE. The Pegasus photos are to be attributed to Train Chartering. 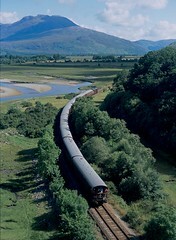 The Royal Scotsman is available for private hire from Train Chartering. 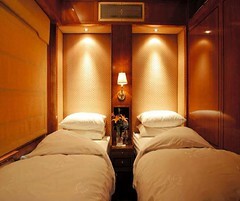 Private carriages or individual compartments can be booked through the Luxury Train Club or Private Rail Cars. "A journey on The Royal Scotsman takes you to the heart of the Highlands, through landscapes of towering, pine-clad mountains reflected in mirror-still lochs. Just 36 guests travel through Scotland’s finest countryside in private cabins, with an open-deck observation carriage behind. 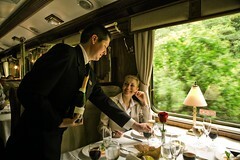 Life on board this luxury train is relaxed and indulgent, with gastronomic dining and the convivial atmosphere of celebrating with friends. After dinner, over a wee dram, a local clansman recounts tales that bring Scottish history alive. Along the way, guests disembark to meet local personalities, talk to experts on subjects from salmon fishing to whisky and take part in fun activities—truly a Scottish rail vacation par excellence." Queen Elizabeth II travelled in one of the Royal Canadian Pacific cars while still a princess, shortly after her marriage to the Duke of Edinburgh. 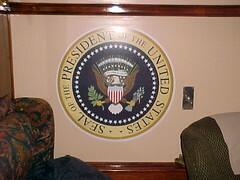 This train is as regal as they come, and the dedicated service provided by the professional staff is entirely appropriate. Relive the romance of rail travel, the way it was meant to be. Nostalgia is mixed with elegance, grace and pampered luxury as one relaxes amidst this grandeur. 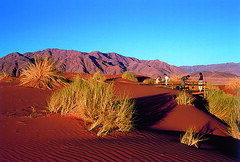 The internal surroundings are exquisite and the external scenery is breathtaking. Travel in 5-star luxury on board this historically-restored fleet of railway carriages through the heart of the magnificent Canadian Rockies in Alberta and British Columbia. The Royal Canadian Pacific stops on the tracks every night, sometimes in the wilderness, enabling the experience and enjoyment of the Rockies in their entirety. Whether having dinner whilst looking out at spectacular scenery, cocktails standing on the Observation deck, or afternoon tea in the elegance of one of the lounges, this is travel at its most sophisticated. The Blue Train has an aura of mystique about it. Kings and presidents have travelled on this magnificent moving five-star hotel. Its very name has become synonymous with the ultimate in luxury and personal service. As the ever-changing scenery flashes past the windows, guests can savour exquisite meals freshly prepared on board by top chefs. The meals are complemented by the best wines South Africa has to offer. 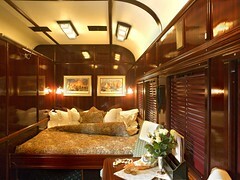 The suites on The Blue Train live up to its reputation for magnificence and splendour. 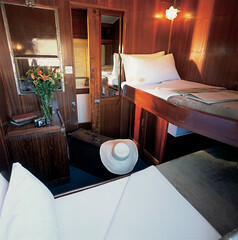 The finest bed linen, marble tiles and gold fittings in the bathrooms and sheer opulence all ensure that guests will never forget the time they spend on The Blue Train. 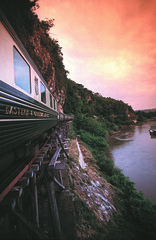 When you choose to travel on The Blue Train, you choose to travel in a world of grace, elegance and romance. 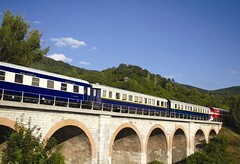 The carriages of this luxury train can be attached to regular Swiss trains, allowing passengers to enjoy luxurious travel through Switzerland and cross borders into Austria, Germany, France and Italy. 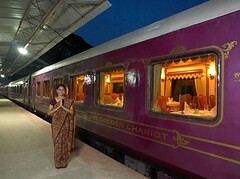 The Golden Chariot is chartered from Train Chartering; private carriages are available from Private Rail Cars; individuals book via The Luxury Train Club. 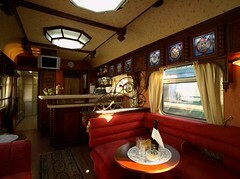 El Expreso de La Robla combines a vintage train with all the amenities of an hotel, at an affordable price. Discover the north of Spain on board a luxury train at a modest price, combined with an extensive off-train excursion programme. El Expreso de La Robla has two routes: one in spring and autumn through Castilla y León and another in summer through Galicia. Each journey lasts four days and three nights. 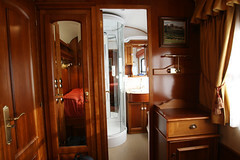 El Expreso de La Robla has four sleeping cars, each with 7 compartments, all of which have an attached shower, wash basin and toilet. Each cabin has two berths, wardrobe, luggage carrier, reading light, air-conditioning, background music and loudspeaker and internal telephone. The train stops at stations at night to ensure you can get a good night's sleep or to allow you to visit the nearby town. 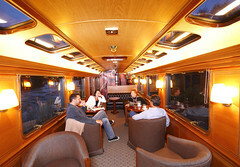 El Expreso de La Robla has three air-conditioned lounge cars, with a permanent bar service and large windows. There is a free internet service. Breakfast is served in the lounge cars, but all other meals are enjoyed in carefully-selected local restaurants, allowing passengers to sample the regional cuisine for which northern Spain is famous. The lounge areas can be used for conferences, seminars and meetings, with a large screen, PC connection and loudspeaker system. El Expreso de la Robla is available for charter from Train Chartering or individual or group bookings from the Luxury Train Club. 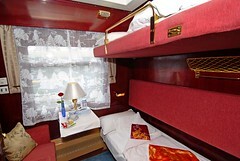 Northern Sky – Sleeper Lounge with Dome Category Sleeper Lounge Car with Dome Facilities One master bedroom Three double bedrooms Three showers Observation lounge with rear-facing windows Dome lounge Kitchen for full meal service Stereo, TV, VCR, DVD, surround-sound home theater. Capacity 14 passengers by day, 8 days by night History Built by ACF IN 1955, rebuilt and redecorated; in continuous quality charter service since 1992. Train Chartering and Private Rail Cars arranges for these rail cars to be added to scheduled trains or to make up private charter trains.